Wearing a beard can change the way a man’s face looks drastically. However, there are times when wearing a full beard is just too hot or does not look good with certain hairstyles. This is why every man needs to know how to shave a beard. The first step is to take an electric clipper or a pair of scissors and trim the whiskers as close to the skin as possible. Beard clippers usually do a much better job of this than scissors. The goal is to remove as much hair as possible before attempting to cut the remainder with a razor. After the hair has been cut, one should take a shower and wash the face to remove all loose hair. This will make the rest of the process go more smoothly and eliminate a source of itching. While the face is still wet, one should apply shaving cream or gel. Some prefer to use old fashioned shaving soap. There are many different types of razors available on the market. Some have only a single blade. Others have two or more blades. Some are disposable and others have replaceable blades. The closest shaves can be obtained with a straight razor that is properly stropped. This razor just needs to be restropped between shaves to keep the edge perfect. One should next start on one side of the face, next to the ear. Begin by making a downward stroke with the grain of the hair growth. This process should be repeated moving from one side of the face to the other and the neck under the chin. All strokes should continue to go in the direction of hair growth. The razor will need to be rinsed with hot water between each stroke. The face should now be rinsed to remove any excess soap or shaving cream. Feel the skin and determine if the result was as close as desired. If it was not, one should repeat the process from applying shaving cream with the shaving strokes going against the direction of hair growth. This can cause some skin irritation. After the shave is completed, it is a good idea to use an astringent or after shave lotion to close the pores in the skin and cool it against razor burn. 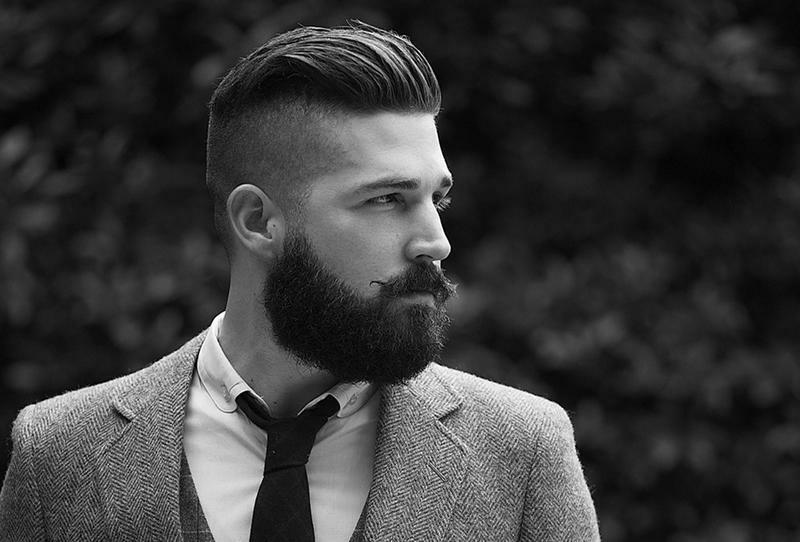 Many men choose to keep a portion of their beard and style it in one of the popular styles. This can be accomplished by following all of the above steps except leaving the whiskers alone in the area that one wishes to keep. It is possible to shave around these to remove the rest of the beard. Then, one should use a clipper or pair of scissors to trim the remaining whiskers to the desired length. Knowing how to shave a beard can prove most helpful if one has worn a full one for any length of time. The underlying skin will be more sensitive than usual, so one should exercise special care when using a razor. Done properly, one can attain a clean shaven face without an excess of skin irritation.